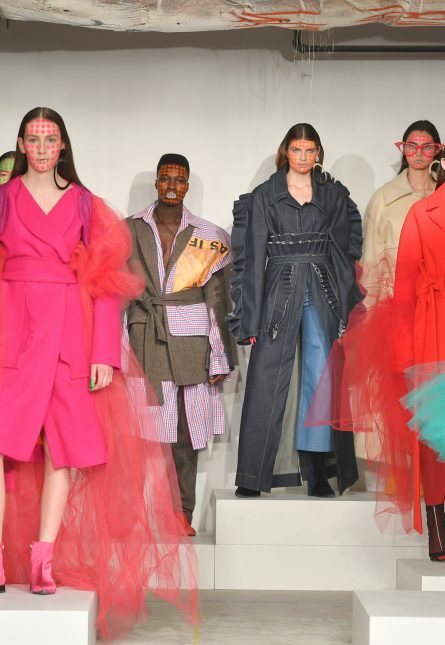 WRKDEPT designers Andy Long Hoang and Tinashe Musara upped the party vibes at Yorkville Village with a bold, bright and over-the-top Fall/Winter 2018 show for Day 2 of Toronto Fashion Week. 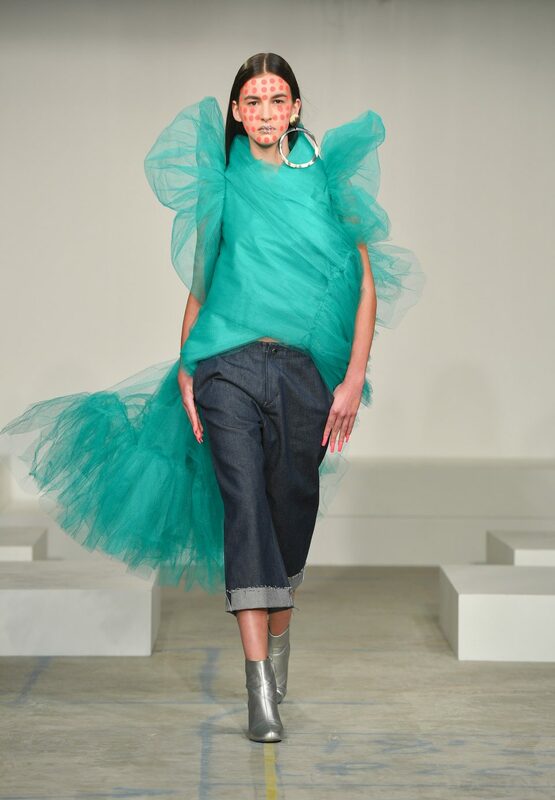 The collection combined voluminous tulle, ruffled denim and posh wool overcoats for a youthful mash-up of high and low that had the millennial fashion crowd snapping. We caught up with Musara and Hoang backstage to talk inspiration, attitude and killer qweens. Congratulations on an amazing show! What was the inspiration behind the collection? Can you talk about how you blended the royal aspects and the drag queen elements together? Speaking of party vibes, the music was so fun — what was the attitude you were trying to convey about the collection?